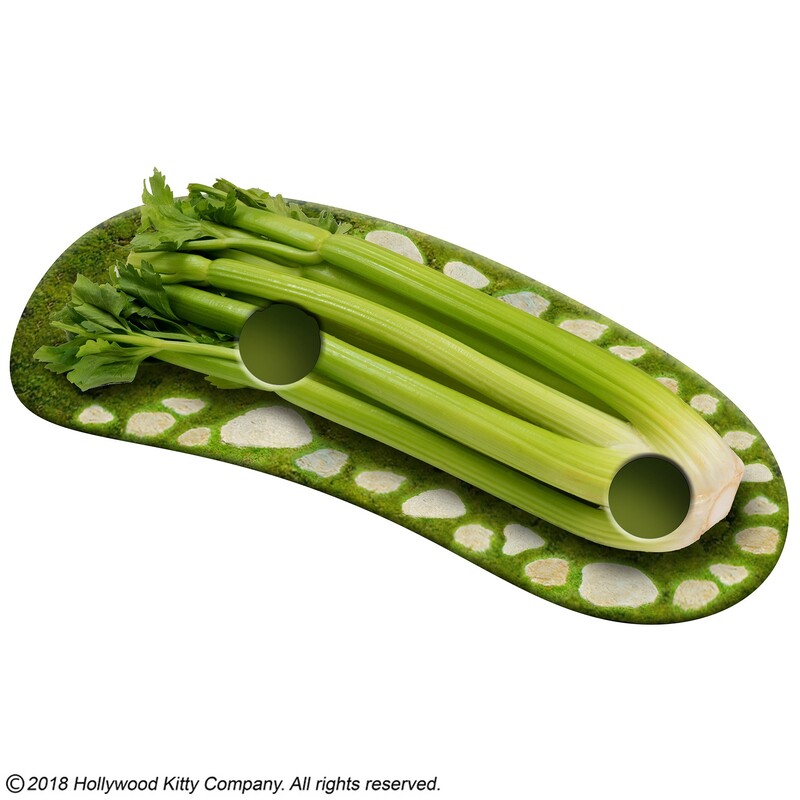 This celery themed hamster tunnel has 3 holes and what look like flagstone stepping stones on its base. For hamsters, dwarf hamsters, mice, and gerbils. The unit separates into 3 parts for easy cleaning. Resin cast, hand-painted. Price includes shipping costs!